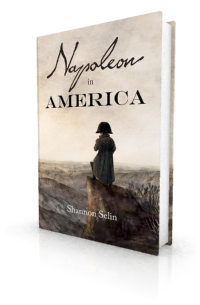 When Napoleon disappears from his Saint Helena residence of Longwood in Napoleon in America, there is one other person missing: Napoleon’s valet, Louis-Joseph-Narcisse Marchand. Louis-Joseph Marchand was born into a middle-class family in Paris on March 28, 1791. His mother, Marie-Marguerite Broquet, became a nurse to Napoleon’s and Marie Louise’s son, the King of Rome. Marchand’s sister Henriette was one of Marie Louise’s wardrobe girls. In 1811, Marchand entered the imperial household as a domestic servant. When Napoleon’s first valet, Louis Constant Wairy, deserted Napoleon in 1814, General Henri Bertrand chose Marchand to replace him. Marchand’s devotion to Napoleon, like that of Bertrand and Louis Étienne Saint-Denis, was remarkable. He went with Napoleon to Elba, returned to France with Napoleon during the Hundred Days, remained faithful to Napoleon after the latter’s defeat at the Battle of Waterloo, and accompanied Napoleon to St. Helena, where he served until Napoleon’s death on May 5, 1821. Marchand kept notes throughout these years. They were published in French in two volumes in 1952 and 1955 (Mémoires de Marchand) and in English in 1998 (In Napoleon’s Shadow). These are considered to be among the more trustworthy accounts written by people surrounding Napoleon. For more about Marchand’s memoirs, see this article by Chantal L’Heurot-Prévot on Napoleon.org. For a discussion of the validity of the various Napoleonic memoirs, see “The Truth About Memoires” by Max Sewell on The Napoleon Series website. Marchand was the perfect servant: discreet, loyal, intelligent and kind. He idolized the Emperor – not an easy man to serve – and did everything he could to maintain Napoleon’s comfort and illusion of power when the latter was diminished to the status of an English prisoner on St. Helena. Marchand lays it on a bit thick in this passage, describing how he and his comrades arranged things in Napoleon’s temporary lodgings at The Briars, home of East India Company official William Balcombe and his family. But it illustrates the tenor of Marchand’s thought. Marchand’s time on St. Helena was not one of unremitting self-denial. He had an affair with an English sergeant’s daughter, Esther Henrietta Vesey or Vizey (1801-1838), with whom he fathered two children: James Octave, born on June 3, 1817, and (probably) Thomas John James Louis, born on April 18, 1821. (2) Marchand also liked to sketch and to paint, particularly landscapes, and always carried a notebook and a pencil with him on his walks. 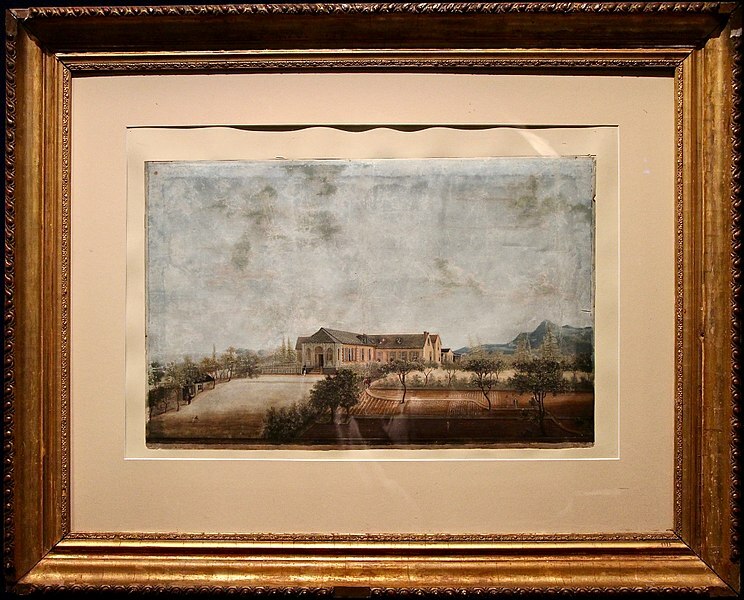 Marchand proudly recounted how Napoleon admired one of his watercolours of Longwood House (given to Tristan de Montholon and later destroyed in a fire in Brussels). That evening when he went back into his private quarters, the Emperor spoke to me of that drawing with great praise, which it certainly did not deserve…. The Emperor had found it remarkably accurate in its lines, and with perfect colors: ‘It is exactly the poor vegetation of Longwood and its wilted lawn. You have missed your calling,’ he said to me, placing his hand on my cheek. Louis-Joseph Marchand provided a detailed description of Napoleon’s last days. On his deathbed, Napoleon gave Marchand the title of count and named him a trustee of his will and codicils. He bequeathed 400,000 francs to Marchand, with the words “the services he has rendered me are those of a friend.” He also said that Marchand should marry the daughter of an officer of the Old Imperial Guard. Back in Paris, the Montholons recommended Mathilde (born on March 30, 1805), the daughter of Napoleonic General Michel Silvestre Brayer. In 1816, General Brayer had been sentenced to death by the Bourbon regime and had fled to the United States, where he joined the Chilean independence movement. For several years he commanded the Chilean Independence Army under the name of Miguel Brayer, until his return to France in 1821. Brayer’s name is sometimes mentioned in connection with plots to rescue Napoleon from St. Helena. Louis-Joseph Marchand married Mathilde Brayer on November 15, 1823. You can see a portrait of her on the Muzéo website. They had one child, Malvina, born in September 1824. She married in 1845 and had four children. Marchand was present on the 1840 voyage to return Napoleon’s remains from Saint Helena to France. Otherwise, he “led a discreet and quiet life in Paris, welcomed with open arms by all who kept the imperial cult.” (7) Napoleon’s nephew, Napoleon III, confirmed Marchand’s title of count in 1869 and made him an officer of the Legion of Honour. Louis-Joseph Marchand died at his summer residence in Trouville on June 19, 1876, at the age of 85. Mathilde died on January 21, 1881, age 75. There is a tantalizing suggestion, laid out here in French, that she may have visited Montevideo in 1843. Louis-Joseph Marchand (Proctor Jones, ed. ), In Napoleon’s Shadow: Being the First English Language Edition of the Complete Memoirs of Louis-Joseph Marchand, Valet and Friend of the Emperor, 1811-1821 (San Francisco, 1998), p. 350. Marchand is listed as James’s father on the latter’s birth registration. Thomas’s father is not listed on his birth registration, but he was born just two weeks before Napoleon’s death. Marchand had already left St. Helena by the time Esther registered Thomas’s birth (June 14, 1821), which would have made it difficult for her to list him as the father. Thomas told his wife and children that he was Louis-Joseph Marchand’s son. I am indebted to Thomas’s great-granddaughter, Liz Hall (nee Hopkins), for this information; she has diligently researched the connection and kindly shared what she found with me. Both James and Thomas left St. Helena for South Africa after their mother’s death. James became a seaman and died in Cape Town on February 14, 1849 (thanks to Liz Hall for finding and sharing the death registration). Thomas died in Port Elizabeth on July 16, 1908. There is no evidence that either of them ever tried to contact their father. Louis-Joseph Marchand, In Napoleon’s Shadow, p. 444. Louis Étienne Saint-Denis, Napoleon from the Tuileries to St. Helena, translated by Frank Hunter Potter (New York and London, 1922), p. 194. Marchand, In Napoleon’s Shadow, p. 559. Marchand, In Napoleon’s Shadow, p. 678. Marchand, In Napoleon’s Shadow, p. xxiv. A very interesting and fascinating article, which I read with interest. How did he react to Tallyrand? I am reading about the Reform Act in which Wellington is not potrayed in a good light. Sounds like interesting reading about Wellington. He was sometimes out of his depth in his political career after Waterloo, and certainly did not like the Reform Act. I’m going to do a post on him in a couple of weeks. My great aunt Nellie Gertrude Brown who died in 1969 aged 81 had amongst her papers a letter from a Napoleonic Society asking her to be an honorary member as she was related to Louis Marchand. I’ve thought about trying to trace this, she did apparently talk of a Tommy ‘Marchant’ and she had relatives in South Africa although we always presumed they emigrated there. Thanks Helen. I’ll follow up privately to put you in touch with Liz Hall, another Marchand descendant who is tracing the family history. This man is apparently my (great) Grandfather or Uncle, I found a book written about my family with my great great great great grandparents amongst more Marchands I didn’t even know about. So cool. I knew I had French ancestry I never expected to be related to someone in history books. The funny thing is, painting and drawing is my talent too…and I carry around pen and drawing book. That’s wonderful, Raylin. I’m glad that you found out about your connection to Louis-Joseph Marchand, and that you share his love of drawing. It is wonderful! And I love your article! I found it because in my book said he was a Count, and that made no sense to me, a Marchand a member of the royal blood line didn’t seem possible so, you answered that question for me, He didn’t gain Count status by birth but it was gifted to him by none other than NAPOLEON BONAPARTE HIMSELF!!! This article is like finding treasure to me so thank you for that. Oh and I’m sorry for any misspellings on my part, I’m severely dyslexic. But I can’t wait to read more about him! You’re welcome, Raylin. I’m glad the article was helpful. If you can find it in a library or a bookstore, I think you would love Louis-Joseph Marchand’s memoirs, called In Napoleon’s Shadow, published by Proctor Jones in 1998. 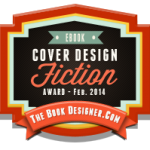 It’s a huge book (almost 800 pages) – well worth the read! Thank you so much I’m going to try and find that! Lots of interesting articles on this blog, Shannon. Congrats! I’m curious, though, to know a bit more about Napoleon’s will … and who, if anyone, was his executor. Were things done according to his wishes, or did politics derail some of them? Thanks again! Thanks, Gordon. I’m glad you’re enjoying the blog. There’s a discussion of Napoleon’s will and what happened with his bequests on The Dearly Departed blog: https://marysuedonsky.wordpress.com/2012/09/09/napoleon-part-three-the-last-will-and-seven-codicils/. Louis-Joseph Marchand, General Henri Bertrand and General Charles Montholon were co-executors. The full text of Napoleon’s will is on the Fondation Napoléon website: https://www.napoleon.org/en/history-of-the-two-empires/articles/napoleons-last-will-and-testament/. Hello, very very interesting read. I soak up everything I can about Louis-Joseph-Narcisse Marchand, I am a direct descendant. My grandmother Joyce Smith (maiden name Marchand) received a great deal of information when I was a child, and it was all destroyed in a fire. I don’t believe we know much about generations before Louis-Joseph-Narcisse Marchand. But I just watched a video on YouTube by The History Channel about famous deathmasks, and Napolean was featured so I was interested. Much to my surprise, when they were discussing a death mask they believed to be a fake one of Napolean, they say experts believe it is actually of his valet and best friend Jean-Baptiste Cipriani. So, of course now I’m pretty intrigued. I googled his name and am coming back with a serviceman in the 1900’s, but nothing that could fit the Napolean time line. The History Channel pain-stakingly recreated the faces with lasers and computer generation, and the “fake Napolean” or “Jean-Baptiste Cipriani” one was one of them. I’m going to try to do more research, but I’m very curious if it can even be possible that I’m looking at my descendant, Louis-Joseph-Narcisse Marchand. Thank you very much for the very informative article, hope my inquiry isn’t too far-fetched. It’s lovely to hear from you, Lauren. The death mask you refer to is not that of your ancestor Louis-Joseph-Narcisse Marchand, who outlived Napoleon by 55 years. Cipriani was another one of Napoleon’s servants who died on St. Helena in February 1818. Some people claim that the British substituted his body for Napoleon’s. See “10 Myths about Napoleon Bonaparte” (myth #9). Thank you so much for the explaination, really appreciate you took the time to do that. [T]he Emperor was served in Saint Helena with the same zeal, the same care, and the same attentiveness as at the Tuileries in his time of splendor.